The Maurice Richard award or the Rocket Richard trophy is given to the player who scores the most goal during the year and is named after, ironically, Maurice the rocket Richard. Recent winners include reigning rocket Richard winner Steven Stamkos, Sidney Crosby and Alex Ovechkin. 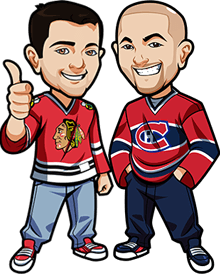 In these NHL 2013 Rocket Richard Trophy Winner Betting Tips, I’ll give you my sure thing pick and my long shot pick – it’s recommended you bet both because both have great odds, with one obviously being a LOT better than the other. My sure thing pick is: for the third time in his young career Steven Stamkos and my long shot pick is : James Neal. You can bet these at Bodog.ca which offers the best odds. What more can I say about Steven Stamkos because if you’re not already convinced that this kid can score goals you never will be. I say kid because although he has been in the league for a few years now,(4 to be exact), hes only 22 years old and with his off season workout partner being fitness guru Gary Roberts you know that each and every year the season starts he will be in better shape then the last season. For his first four years in the league his goal totals have been unreal: His rookie year he scored 23 goals, his second year he scored 51 winning his first Rocket Richard trophy, his third year he scored 45 goals and last year he had 60 goals winning his second Rocket Richard trophy. So why am I convinced that he will do it again? Well he has his partner in crime with him in Martin St.Louis and as you can tell by his number he just keeps getting better. Now with a lockout shortened year goal totals will look very low on paper but when you see the number of gaes played it will make sense. The odds aren’t great on this – it’s about +250 at most sportsbooks. Thankfully Bodog has a nice +275 odds available which is decent value as Stamkos has to be the favourite considering what kind of talent this guy is, and the drive he has to continue to keep getting better year after year. Now this really is a long shot but this is a player who very talented and in a lockout shortened season anything is possible. But the most intriguing thing about James Neal and his chances of winning the Rocket Richard trophy is he is a top six winger on a DEEP Pittsburgh Penguins team so if he plays on the first line he has Sidney Crosby to pass him the puck. If he plays on the second line well then i guess Evgeni Malkin will have to do. His first 3 years in the league he has put up goal totals of 27 , 22 and 40 and know with Sidney Crosby in the best shape he has ever been in this could be the year that the penguins have some not named Sid or Geno win an award. Just imagine the chances this guy is going to have this year no matter where they put him he will have plenty of chance to bury the biscuit. The betting odds available on Bodog are well… make sure you’re sitting down when you win this bet because the betting odds are out of this world. I mean this is a guy who plays with such amazing talented centers trying to find him open for the goal are you ready for this….. +3500 that’s not a typo, that’s not an extra 0 that’s thirty five hundred its almost to good to pass up the value for this is unheard of because if i was doing the betting odds and you asked me to place a number for a winger riding with Crosby or Malkin or both on the powerplay i would have it somewhere in the +800-+1000 range. So hop on this bet at Bodog.